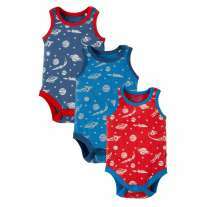 These Frugi Little Long John PJs are soft, comfy and look adorable on trainee space explorers. 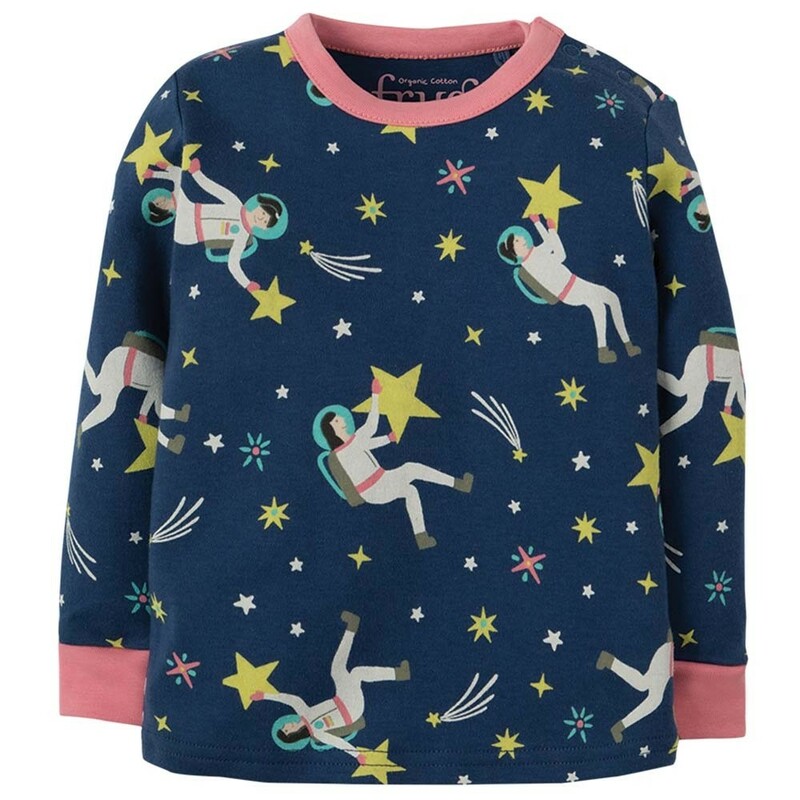 These organic cotton pyjamas for babies and toddlers have a navy top with a pink trim and a colourful astronaut design. The pink and white striped PJ bottoms have stretchy cuffs and a drawstring to keep them up. 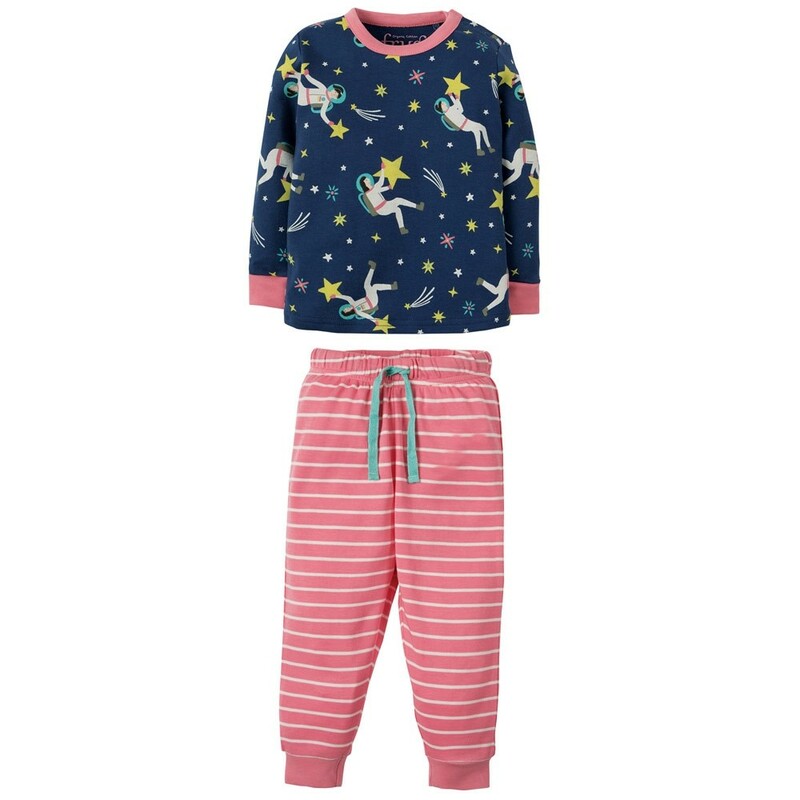 Fun and eco-friendly, these lovely Frugi pyjamas are gentle next to delicate skin, eczema-friendly and have room for cloth nappies too. 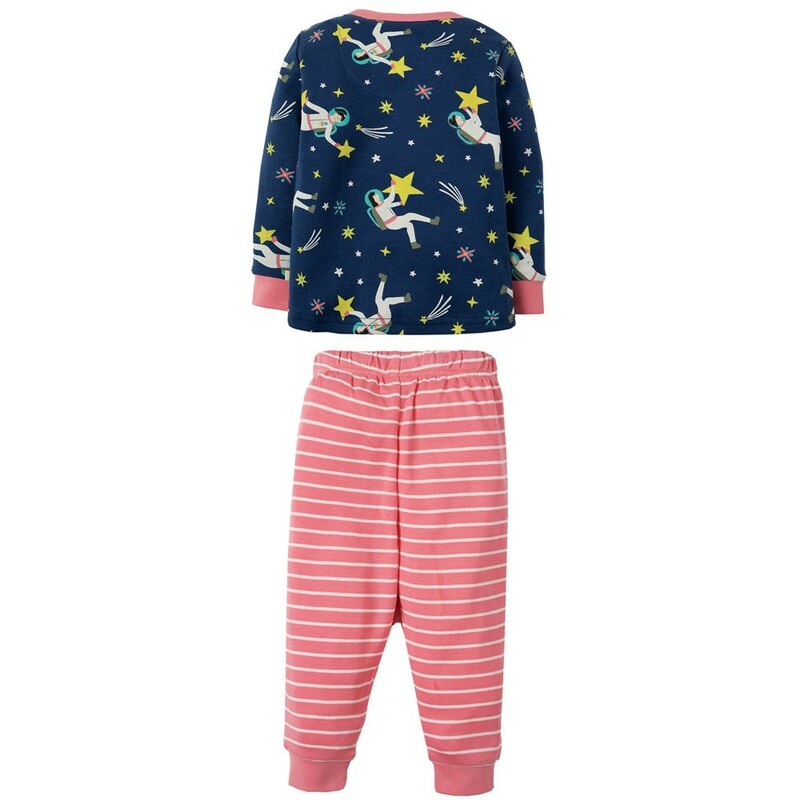 Ethically made from GOTS organic cotton, these Frugi pyjamas are ideal for green parents who want to buy natural, eco baby clothing and fashion for growing children. 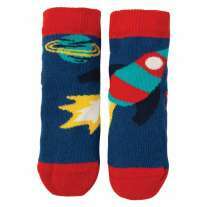 Join the sustainable fashion revolution with Frugi.